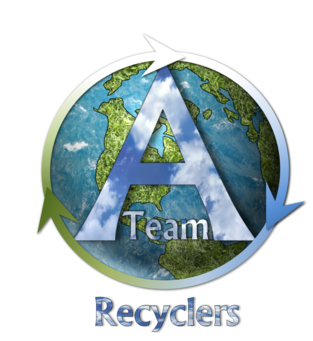 At A-Team Recyclers, we understand that it’s not always convenient to pack up your electronics and drive out to your nearest recycling facility to properly dispose of them. Our pickup service takes the burdensome task off your hands by coming to your location to collect the unwanted electronics. It’s simple and convenient–and ensures your electronics are responsibly recycled! With our Chicagoland pickup service, we’ll work with you to schedule a time to come to your location to collect and package your electronics. Then we’ll load them up and take them back to our secure facility to be properly recycled. At our recycling facility they’re broken down, sorted, wiped of any data, and sent to approved domestic vendors where the reprocessed raw products are reused in manufacturing. Upon request, we can also provide a certificate of recycling and inventory recording for your records. For devices containing sensitive information, mobile hard drive destruction is available upon request. With this service, we use mobile shredding technology to completely destroy the hard drives’ content, and we do it all on location so you can witness the destruction yourself. Request a pickup of your unwanted or obsolete electronics by contacting us today!